Ruby is the perfect blouse! Minimal, bold and modern. A statement shirt, it features a pretty rounde..
Annabel cotton touch stretch blouse with side panel detail Available in: White, Sky Blue & ..
A classic shirt with soft feminine elements. With an open revere collar design and double buttoning,.. 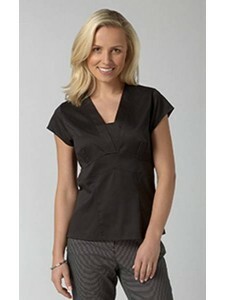 The ultimate shirt, Zoe is a must-have addition to any woman's working wardrobe. The sharp collar an.. 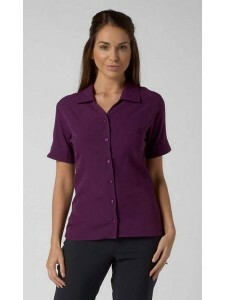 In Vortex's fabulous Cotton Touch Stretch fabric, with mandarin collar and feature pin tuck de..
A classic shirt with a modern touch. The round collar and princess line seams make this a flattering..
Made in our fabulous Cotton Touch Stretch fabric, with side zip fastening and shaped front panelling.. 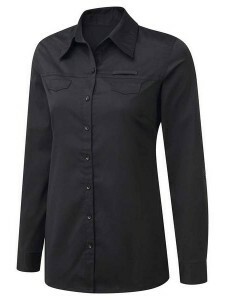 The Lillie women's blouse can be worn tucked in or loose and the deep side vents ensure a comfortabl..
Work a relaxed take on tailoring.Yasmin features a longer length body and roll-up sleeves creating a..